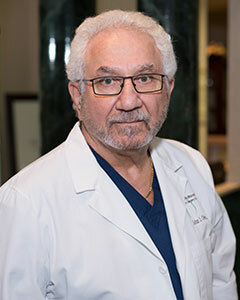 Jacksonville plastic surgeon John J. Obi, MD has been in the private practice of Plastic and Reconstructive Surgery in Jacksonville since 1981. He is a board certified plastic surgeon and a native of Jacksonville. A native of Jacksonville, Dr. John Obi trained in General Surgery at University Hospital of Jacksonville (now UF Health Jacksonville) after graduating from Tulane University School of Medicine. World-renowned plastic surgeons in the Plastic Surgery Residency Program at the University of Miami selected Dr. John Obi for training. Upon completion of the program in the Division of Plastic Surgery, he returned to Jacksonville to start his private practice. John J. Obi, MD is the Medical Director of Jacksonville Plastic Surgery Center, which is an accredited ambulatory surgery center. He is also an Adjunct Clinical Professor in Plastic Surgery at the University of Florida College of Medicine, Jacksonville. Dr. John Obi instructs other medical practitioners on advanced dermal filler injection techniques and has served as a member of the Merz Aesthetics Education Faculty. He is recognized by Allergan as a Gold Provider of BOTOX® & Juvéderm®, signifying extensive experience. He has performed hundreds of procedures with dermal filler products such as Radiesse®, Juvéderm®, Restylane®, and BOTOX® Cosmetic.